THERE WAS NO SIGN of a forced entry at the home in Windsor Square home. A homicide investigation is underway into the stabbing death of Antonia Maria Yager. 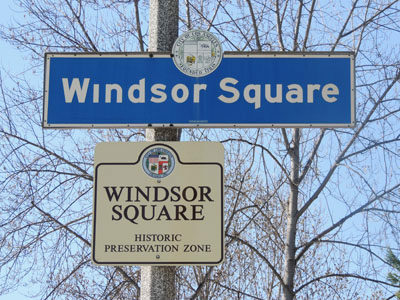 A caretaker found the 86-year-old widow dead in her bed in her Windsor Square home on Dec. 22 at about 7:25 p.m. According to LAPD detective Lt. John Radtke, Yager, who lived alone in the 100 block of N. Beachwood Drive, died of multiple stab wounds. Active in the Assistance League of Los Angeles, Yager was married to L.A. Superior Court Judge Thomas Yager, who died in 2008. Police are unsure about when Yager was killed—she was last seen alive on Sunday—or of a motive. “It appears to have been random,” he added. “At this point, we’re looking at all possibilities including a home-invasion robbery or burglary. We’re understandably concerned. It’s a serious, violent crime in an area that hasn’t seen a homicide since 2001. “We know that this is a tight-knit community and that everyone communicates, networks and shares information. So we are urging anyone who noticed anything out of the ordinary to contact LAPD West Bureau homicide detectives at 213-382-9470.